Raaga.com: Wanna guess what’s common between Aamir Khan and Mahesh Babu? 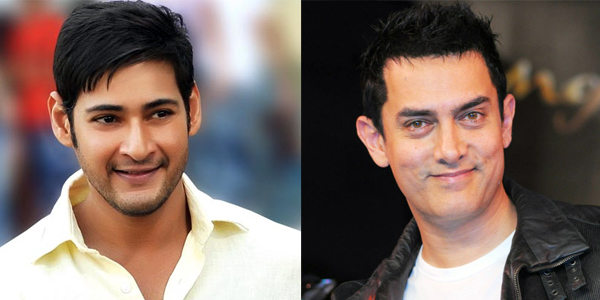 Wanna guess what’s common between Aamir Khan and Mahesh Babu? On acting fronts and stardom rank both, Bollywood superstar Aamir Khan and South superstar Mahesh Babu are at par, but there is one more thing that the two mega stars share. Any guess? Well both are golden hearted and benevolent. A picture of this can be gauged from the fact that ever since Mahesh Babu’s latest Telugu hit film SRIMANTHUDU won rave reviews, particularly, film buffs going gaga over Mahesh Babu’s sensitive portrayal of a youth going all out to solve the tribulations of a village, Mahesh Babu has been overwhelmed by his fan’s adore. In fact the emotional content of the movie has moved Mahesh Babu so much that he has pledged to adopt a village and in reality become a savior as he did in the film SRIMANTHUDU. According to latest news Mahesh Babu, who had earlier expressed his wish to adopt a village has finalized to adopt two backward villages called Chinthalakunta village of Gattu mandal in Mahbubnagar in Telangana and Burripalem in Guntur of Andra Pradesh (AP). According to sources Mahesh Babu will be visiting Chinthalakunta village on August 29 along with IT and Panchayat Raj minister KT Rama Rao. Reports suggests Mahesh Babu has adopted these villages as per Telangana Chief Minister KCR initiated 'Grama Jyothi' Programme and AP CM Chandrababu Naidu initiated 'Smart Village' programme. Like Mahesh Babu, Aamir Khan too has come forward to help the villagers of Maharashtra, who facing a hard time due lack of water. Reports claims a total of 6,202 villages in six districts are drought-affected. Hence to help the drought-affected farmers of Maharashtra, Aamir Khan has donated Rs 11 lakh to the Maharashtra Chief Minister Devendra Fadnavis’ rural water conservation programme, Jalayukta Shivaar Abhiyaan. Besides helping monetarily it’s reported Aamir Khan has also promised to create a lot of public awareness for the water conservation mission.